In January, I wrote to you about the alternative energy sector. I told you that the sector's impressive strength in 2013 was likely to extend well into this year. Is this proof that I keep a crystal ball in my desk drawer? 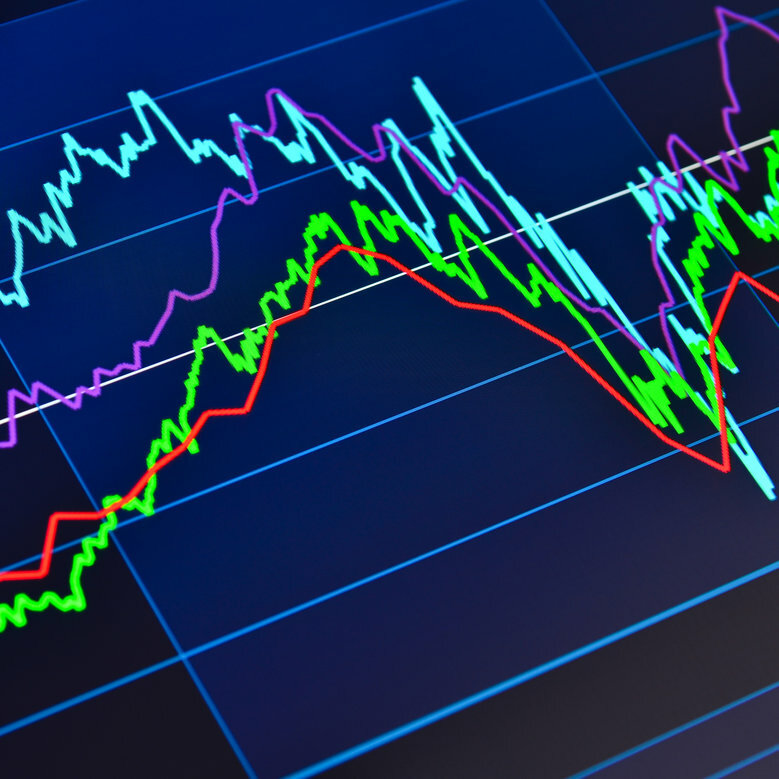 In the financial markets, trends tend to stay intact for long periods of time. So instead of trying to predict which sectors will outperform the market next quarter, start with the ones that outperformed in the recent quarter. In its simplest form, this strategy is known as "relative strength quarterly rebalancing." And as it turns out, alternative energy is a perfect case-in-point for adding this strategy to your trading arsenal. You can see that both ETFs significantly outperformed the S&P in 2013. One showed nearly double the broad market's return, and the other beat it by nearly fourfold. At the start of 2014 - with the above chart fresh in your mind - it would have been natural to assume that alternative energy might "come back to the pack" as we moved into the first quarter. But if you took the advice I gave you and stayed in alternative energy for the first quarter based on its relative strength in the fourth quarter, you're probably smiling today. I'm sure you're with me so far. Strong relative strength can be a great predictor of future performance. The key term above is "relative." Don't confuse relative strength with absolute strength. What we are looking for in a relative strength analysis is the movement of TAN versus the S&P. When TAN moves up more than the S&P or moves down less than the S&P, each move counts as positive relative strength of TAN versus the S&P. A standard stock chart will show you whether a security is moving up or down in absolute terms. But [a] relative strength chart... shows an advance whenever TAN was outperforming the S&P. The chart shows a decline when TAN underperformed the S&P. A stock that makes higher highs and higher lows than its peers is more likely to continue its uptrend than to reverse it. That's why relative strength analysis is so powerful. As long as you remember to make that distinction, looking at the previous quarter's relative strength can be a great clue to what might happen going forward. And while this quarter still has a few trading days left, it's looking like alternative energy is poised for another strong showing in the second quarter. Alternative energy has indeed been a terrific sector to invest in - but many good old conventional oil companies have done nicely, too. The strength of the energy industry overall, in fact, is one reason that subscribers of Oxford Resource Explorer have enjoyed outstanding profits this year. Learn how to join them by clicking here. Take Diamondback Energy (Nasdaq: FANG), for example. Shares of the oil and natural gas exploration and production company have exploded since David Fessler added them to Oxford Resource Explorer's Growth Portfolio in January. "Our shares of Diamondback Energy are up more than 40% since we added them to the Oxford Resource Explorer's Growth Portfolio. Diamondback continues to outperform its peers. "Unlike many of its larger competitors, Diamondback Energy is an exploration and production company focused on one area: the Permian Basin in West Texas. "Until recently, Diamondback had about 66,000 acres in the heart of the Permian. Its acreage is in an area called the Midland Basin. "The Midland Basin is like a stack of 11 pancakes. Each pancake is soaked with 'syrup.' Except the 'syrup' in this case is light, sweet crude oil. "The beauty of the Midland Basin is that in some areas, you can hit all 11 'oil pancakes' from a single drill pad. That's a huge advantage over most other U.S. shale oil and gas fields. "Recently, Diamondback added to its acreage in two separate transactions. On February 18 and February 20, Diamondback added a total of 4,683 net acres to its holdings. "The new acreage is in Martin County, Texas. This acreage is part of a 6,450-acre tract that Diamondback now has a 72.6% working interest in. "The acreage is in the heart or the 'fairway' of the Midland Basin. Currently, 145 vertical wells are producing about 1,600 barrels of oil equivalent per day (Boe/d). "Roughly 75% of the production is light, sweet crude oil, with the rest being natural gas. The company estimates that as of Dec. 31, 2013, the property contains net proven reserves of 4,185 million barrels of oil equivalent. "That estimate will, in all likelihood, turn out to be low. It's based on information provided by the sellers of the property. "Diamondback plans additional testing once closing is complete. It already has identified 42 potential horizontal drilling locations in each of the lower Spraberry and Wolfcamp B layers. "Another 112 horizontal drilling locations have been identified in the Wolfcamp A, Cline, Middle Spraberry and Clear Fork intervals. "Travis Stice, Diamondback's CEO, commented on the company's recent acquisition: 'I am extremely excited about this pending acquisition in Martin County. It offers an opportunity for Diamondback stockholders to expand their exposure to what we believe to be the core area of one of the most prolific basins in North America. "Stice knows what he's talking about. He has more than 28 years of experience in the oil and gas industry with 15 of those years focused on the Permian Basin. "Under Stice's leadership, Diamondback grew its production volumes 149% year over year in 2013. It expects to grow production at least 112% year over year in 2014. "Its peer-leading cash margins of nearly $70 per barrel of oil equivalent are extraordinary. Diamondback's acreage is first class. It averages 75% to 77% crude oil, also the highest among its peers. "Diamondback is clearly on a roll and 2014 looks like it's shaping up to be another great year for the company. Investors might want to consider adding to their position on market pullbacks."